Take a look at this Alsace map to familiarize yourself with the area. Each Alsace wine is named and comes from one grape variety and must be bottled in the region it was produced. Mostly white, it is rich, sweet and late harvested. Riesling: dry, white and delicate. 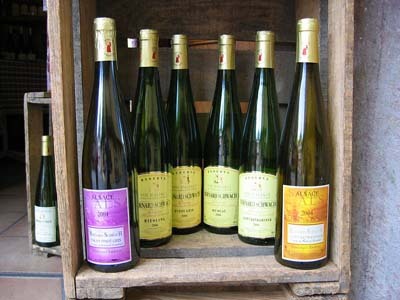 Alsace Riesling is considered the finest Alsace wine. Sylvaner: white, light, fresh and fruity and not expensive. 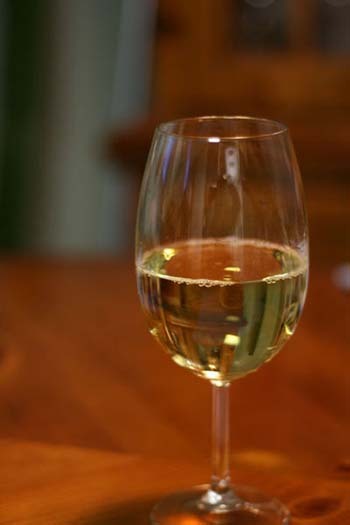 Pinot Gris (sometimes called Tokay d’Alsace): Pino Gris Alsace is dry white, and full bodied. Goes well with food. Pino Blanc or Klavner: Alsace Pino Blanc is dry and refreshing. Pino Noir: Alsace Pino Noir is the only non white variety, a rose, fruity and dry. Edelzwicker: grape varieties blended together and sold under this name. The cheapest and can be quite delicious. Crémant d’Alsace: Alsacian sparkling wine. Very good and much cheaper than the French wine Champagne. Alsace is one of 12 French wine regions you can visit. A beautiful scenic drive of 110miles (180 km) this Alsace country France tour wine goes from Marleheim in the north to Thann at the southern end. As you drive the Alsace wine road you see where these wines are grown and French wine making in the many caves open to the public. You can sample the wine for free, eat the traditional choucroute garnie and stop at the picturesque villages of half timbered Medieval and Renaissance houses. Take up to 3 days or much less if you start in Colmar. Escape the towns and walk the sentiers viticoles, the paths through the vineyards. Or, create your own drive through Alsace Lorraine France like John did on his culture adventure…. Another beautiful drive is over the Vosges Mountains. 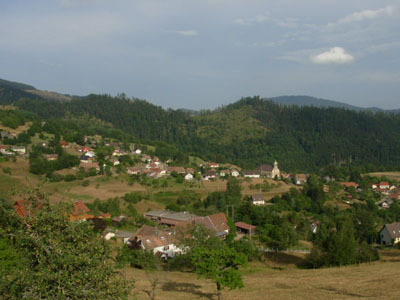 Ribeauvillé: Famous for its Riesling. On the 1st Sunday in September the town celebrates with a fountain spouting free wine. Riquewihr: one of the most visited towns in France. Beautiful medieval and renaissance houses. If you get their early in the day you can beat the crowds. Turckheim: Not touristy and charming with many Renaissance buildings. Famous for its wine brand. Equisheim: some say it’s the most charming village. Medieval houses. Post WWII modern wine cooperatives where you can see modern wine making methods. A Very popular time to visit. The wine harvest festivals in September and October are also great times to visit. For very leisurely driving use the sentiers viticoles,the scenic wine service lanes. Driving is not the only way to see this area. Train: The TGV from Paris takes 2 hours and 20 minutes. Fly: Airports in France include one conveniently located just outside of Strasbourg in Alsace. Good access to exploring the region. 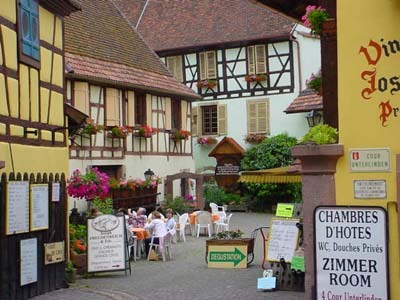 Once there you can take one of several organized Alsace tours from Colmar or Strasbourg. Bike: Alsace is one of France’s best biking regions with 2500 miles of bike lanes. Bring along a good road map of Alsace with a 1:200,000 scale or bigger. Our road map France guide shows you the best options . Colmar is a good base to start from to visit the area, Alsace wine road or to drive the Vosges Mountains. All Seasons Colmar Centre is in an 18th century malt house in the old town. Close to the TGV, parking, and highly rated by visitors. Novotel Colmar is a 5 minute drive from the town center, easy parking and beautiful views of the Vosges Mountains and easy access to the wine route. Ibis Colmar Centre is close to everything. 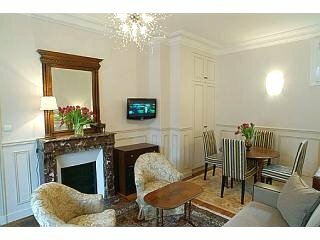 Ibis hotels are popular budget hotels in France with good value and comfort.